What is the service life of the structure? The external walls can last a minimum of 200 years, a roof can withstand a minimum of 100 years. Is metal is a good conductor of heat? Is the house warm? Yes. Good thermal insulation eliminates thermal bridges and the thin profile takes up a minimal cross section of the wall, keeping heat in the building. The calculated wall heat transfer coefficient is U = 0.16 W/m2k. I know that the frame houses are built in countries with warm climates. 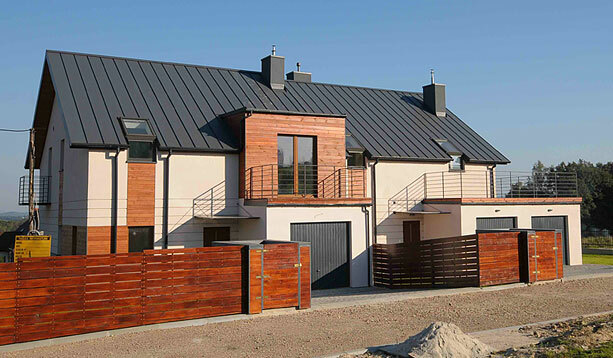 Do these homes in Poland “pass the exam”? Of course, yes. Prefabricated houses built with wood and metal frames are created in countries with a warmer climate than climate Polish, but also in countries with comparable weather conditions, as well as much more difficult conditions. For example, buildings in northern states of the USA, Canada, the Scandinavian countries, England, South Australia, New Zealand all use this modern technology. Is the metal structure of the house exposed to lightning strikes? 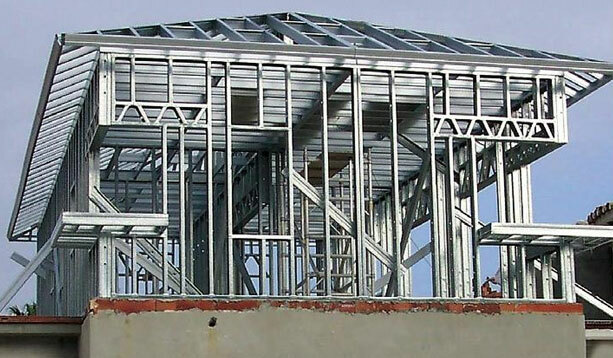 Metal construction is particularly vulnerable to lightning strikes; however, the framing structures are very well grounded and have the same lightning strike potential as the earth. How do you deal with hanging heavy objects on the walls of the skeletal structure? In critical areas such as the kitchen walls, radiators, grips, special reinforcement steel bars can be applied. In other places, you can use plasterboard system plugs that hold loads of up to 50kg. How much cheaper is building a garage using the SCS system as opposed to the “Sheet metal box” method? 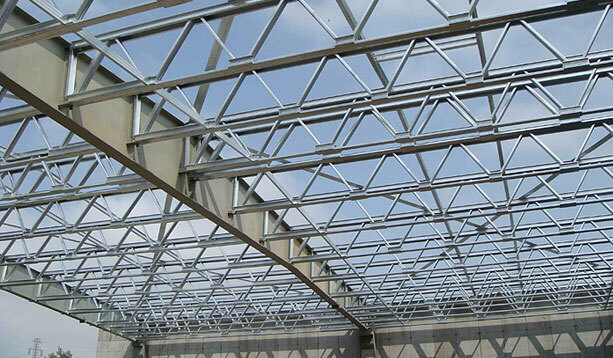 Garages built with the SCS light metal frame technology cannot be compared with the “Sheet metal box” model. 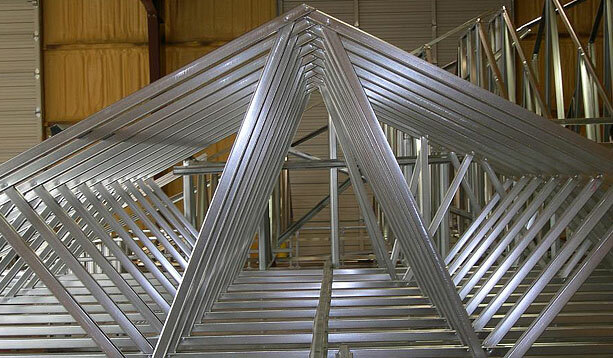 Our technology allows us to build a garage that can be compared only a project built with traditional methods. This applies to the exterior walls, roof options (tile, any sheet metal, shingle, etc. 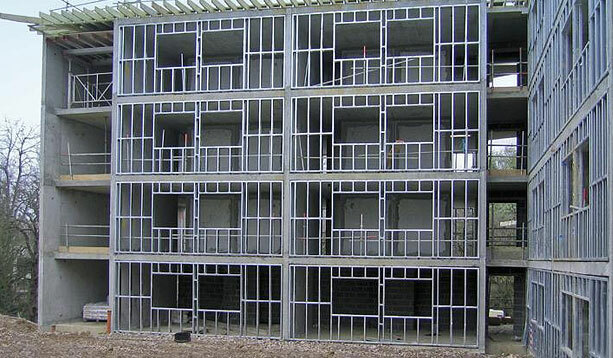 ), any installation of windows and doors as well as thermal parameters. 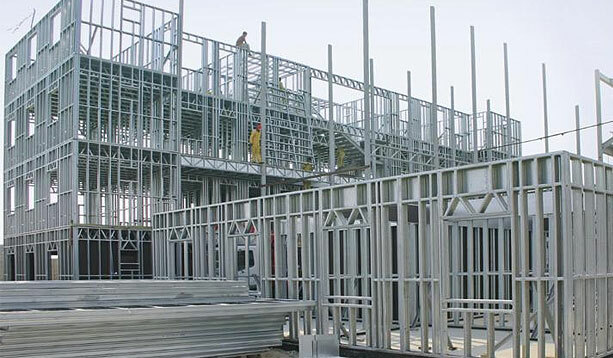 You can roughly estimate that the garage, made with SCS is cheaper than a traditional garage at the “raw state open” of up to 35% including both material and labor. How to build large halls SCS technology? In the case of mixed technology such as light metal frames and concrete poles or pylons with thick cross-sections hall dimension is not restricted. 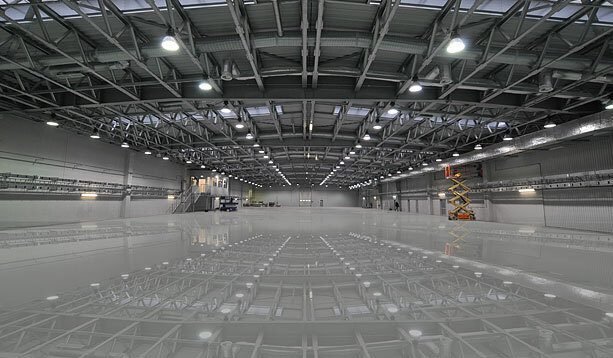 In the case of SCS technology itself has the following limitations: the height of the hall about 4-4.5m, width of aisles to 12m, the length is not limited in practice.